Prince Akishino, the second son of Emperor Akihito, has raised the question about the use of public funds for a ritual following next year's Imperial succession. The Prince was speaking at a news conference prior to his 53rd birthday on Friday. He will be first in line to the throne after the accession of his brother, Crown Prince Naruhito, on May 1st, 2019. In reference to the ritual known as "Daijosai," which is to be held in November of next year, Prince Akishino said he wonders whether it is appropriate to pay for the highly religious event with state funds. 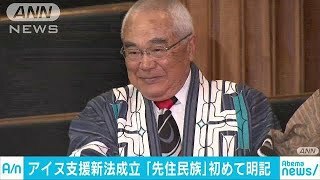 He said that after considering relations between the Imperial family and the Constitution, he feels the ritual should be financed from the budget for the Imperial family. The government disbursed public funds earmarked for the Imperial family's official duties to cover the cost of the previous Daijosai ritual the year after Emperor Akihito ascended to the throne in 1989. The government explained at that time that it was an important ceremony for the state as well. It was the first such rite held under the post-war Constitution, which stipulates the separation of religion and the state. Following the example, the government has already decided to pay for the upcoming Daijosai event with public money. The government spent about 20 million dollars of public money for the previous rite. The Imperial family's budget is relatively small, at about 2.8 million dollars for the current fiscal year. If the budget is to be used for the next rite, the ritual would have to be scaled back in a major way. It is very rare for a member of the Imperial family to express an opinion different from what is determined by the government.